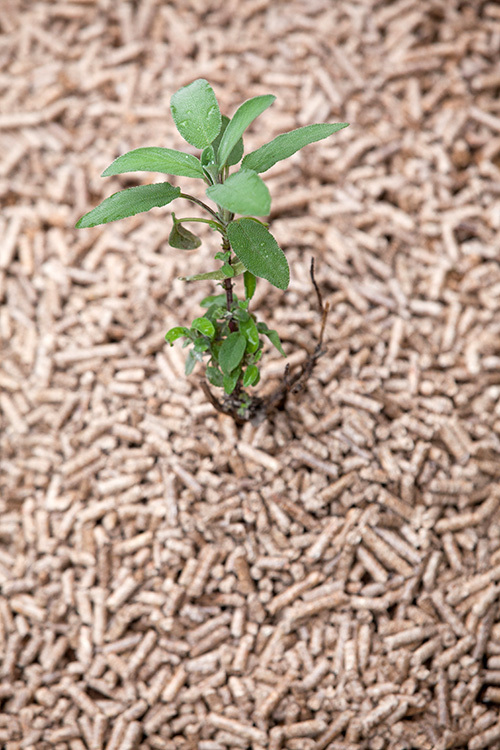 Wood pellets are made from compacted sawdust, which is a by-product of sawmilling. The pellets are an eco fuel, neutral as regard to CO2, because they are made from renewable energy sources. During the burning process they do not emit black smoke. Pellet heating systems are fully automatic –they self-dose the necessary quantity of pellets for burning and some can also be managed by a mobile phone. Wood or biomass pellets are cylindrical in shape and their sizes are normally 6 mm in diameter by 30 mm in length. During their manufacture, a naturally occurring substance called lignin (a natural glue, which is contained in the wood) is used to bond the pellet. The coefficient of efficiency of most pellet heating systems is between 80% and 95% and with our pellets low humidity content (around 8.3 %) allows them to be burned with a very high combustion efficiency- the maximum ash content is 0.5% and their calorific value is around 5100 kcal/kg. The pellets supplied by Kindel in 15kg bags as from 2012 are designated DIN PLUS as per the strict standards of DIN CERTCO having been tested in certified laboratories. © Copyright Kindel Heating - All rights reserved.